Perfect for organizing the whole family! Parents and kids can see an entire month of activities at a glance. 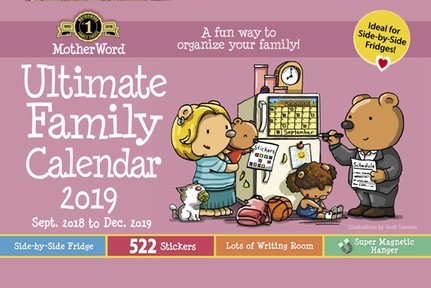 Calendars designed for busy families. Easy to write on and displays an entire month of family activities in one glance! 522 “Little Reminder” stickers can placed on special days to make remembering doctor appointments, children’s activities or vacations really easy.